Meet Sangitha Aanand; a post graduate engineer and a design enthusiast. Aanand started Sajavat in spite of her technical background in 2008, taking her passion for design to an all new level. Holly Decker, an American author, journalist and interior stylist launched decor8, an interior design blog in 2004 – she now has a team of writers! 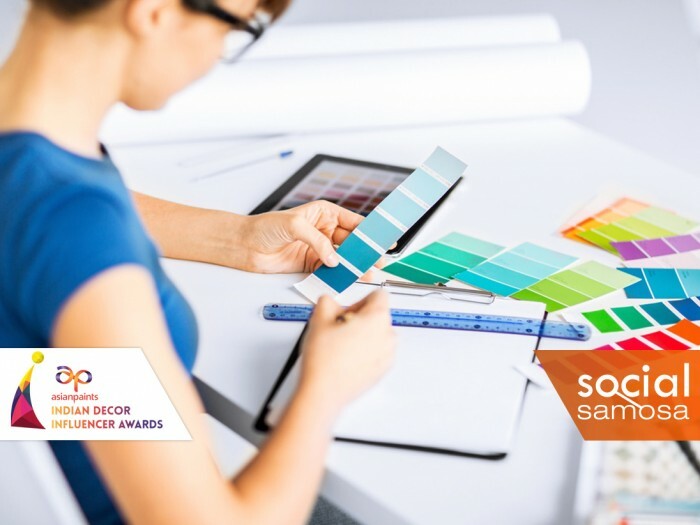 These are small examples – Asian Paints Indian Decor Influencer Awards (IDIA) has been the route to many such inspiring stories. IDIA received a total of 352 entries from every corner of India (with global entries too). After multiple screenings and scoring by jury, Asian Paints and Social Samosa are proud to present the best of decor influencers from India – a total of 160 shortlisted entries. While the tracker sports their positioning on the Wall of Influence as of now – these scores are subject to massive change owing to the votes you cast. Online voting constitutes 20 per cent of the decision-making process. Every vote counts! Every decor enthusiast out there – this is the time to express your love and support to those who have been inspiring and guiding you. IDIA isn’t only a testimony to every decor influencers’ efforts, it is an initiative to acknowledge and appreciate influencers in every field. As a social media dweller, don’t stand back – vote for these decor influencers. With the tracker changing every second – enthusiasm levels are sky high. For constant updates, stay tuned.